Israelis vote in a national election on Tuesday. Polls show that veteran Prime Minister Benjamin Netanyahu, seeking a fifth term in office, is best positioned in the tight race to win and head the next government. His decade-long dominance of Israeli politics has been the biggest issue of the campaign. No single party has ever won an outright majority in the Knesset, making coalition governments the norm. After the election and consultations with party leaders, Israel's president ask the candidate whom he judges has the best chance of forming a coalition to try and put together a government. That is usually the person heading the largest party, but not necessarily. That candidate has 28 days to form a government, with a possible 14-day extension. If he or she fails then the president tasks a different candidate with the job. 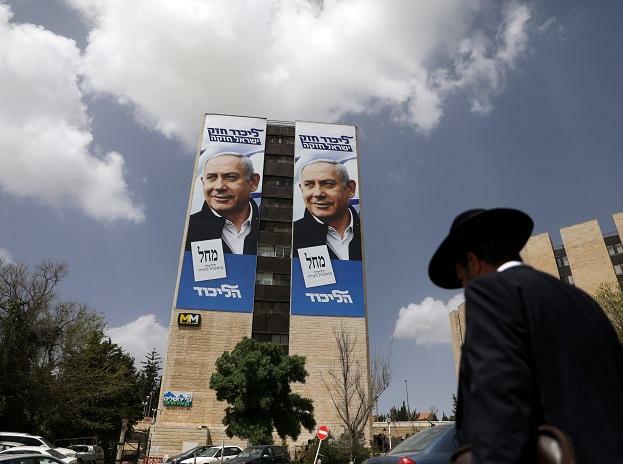 Likud, headed by Prime Minister Netanyahu, the biggest right-wing party in Israel is predicted to win about 29 seats. Likud champions tough security policies when it comes to Iran, Syria and the Israeli-Palestinian conflict. Many of its members oppose the creation of a Palestinian state. Netanyahu, in a last-minute election promise, said he would annex Israeli settlements in the occupied West Bank if he wins another term. In the run-up to the vote, Likud has rallied around Netanyahu, who is facing possible indictment in three corruption cases in which he has denied any wrongdoing. Bennett, Israel's education minister, and Justice Minister Shaked split from Israel's national-religious faction to form a new far-right party that would appeal to more secular constituents. Polls presently show them winning 6 seats. Bennett calls for annexing most of the West Bank, offering autonomy to Palestinians. Shaked has vowed to "reign in" Israel's supreme court which she has branded as too liberal and interventionist. Predicted to win 7 seats, Israel's national-religious party is the most prominent political representative of Israeli settlers in the West Bank. It repudiates the idea of a Palestinian state and stresses Israel's biblical and religious connections to land Palestinians seek for a state. The union includes Jewish Power, an ultra-nationalist religious party that includes disciples of the late Rabbi Meir Kahane who advocated the "transfer" of Palestinians to neighbouring Arab countries and a ban on intermarriage between Jews and Arabs. UTJ represents ultra-Orthodox Jews, or Haredim, of European origin and is seen winning about 6-7 seats in the Knesset. Successive coalition governments have had to rely on support from ultra-Orthodox parties, which traditionally put their sectoral demands above larger issues like security and the Israeli-Palestinian conflict. UTJ is primarily concerned with safeguarding state benefits for Hared men who devote themselves to full-time religious study and do not serve in the conscript military or work. Predicted to take 7-8 seats in the Knesset, the socialist Jewish-Arab party draws most of its voters from Israel's 20 percent Arab minority. It advocates an Arab-Jewish alliance to fight discrimination, racism and social inequality in Israel. Arab parties have never joined governing coalitions in Israel. Predicted to win 4 seats, Raam-Balad's leaders are a mix of Islamist and Arab nationalists. It describes itself as a democratic movement opposed to Israelâ€™s occupation of Palestinian territory.